Treasure Track is the PUP that uses misleading techniques to prevent removal. Use Reimage to locate malicious components and get rid of them faster than with uninstall instructions. A full system scan blocks virus reappearance and prevents traffic to malicious domains. How can Treasure Track hijack my computer? How to remove Treasure Track virus? 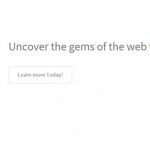 Treasure Track is promoted as a browser plug-in that is supposed to help you navigate the web. Unfortunately, but in reality it’s not going to provide you with any real value. The true purpose of this application is to present you with sponsored advertisements while you are browsing the Internet. 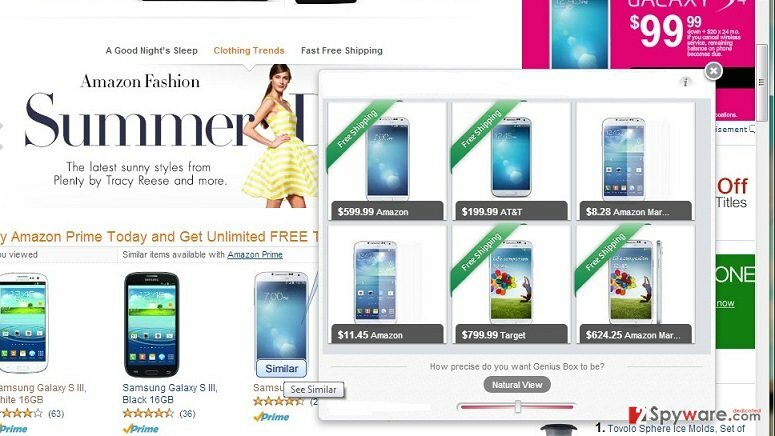 Online advertisements, especially those that are generated by ad-supported apps, are unreliable due to suspicious content that they may disguise. Even more, Treasure Track is blamed for privacy violation and we will explain the reasons of such accusations in greater details. It’s the noteworthy thing that Treasure Track is a typical adware and potentially unwanted program developed by SuperWeb LLC. Its developer is unpopular all around the world for development and distribution of adware-type programs that all are clones, for instance, Clock Hand, SnipSmart, Sad Cloud, and many others. In addition, Treasure Track adware is spread bundled with other free programs, what means that it may enter PC’s system without being invited. Due to this fact, security experts labeled this add-on as a potentially unwanted program. Another important aspect is related to commercial advertising. Keep in mind that all adwares as one seek to generate financial income from advertising, so this add-on is not an exception. Once installed, it may force web browsers (Google Chrome, Mozilla Firefox, Microsoft Edge) generate a huge amount of sponsored advertisements. If, unfortunately, you’ve already received pop-ups, banners, and other forms of commercials labeled as “Ads by Treasure Track” or “Treasure Track Ads”, then probably you’ve been tricked into installing a software package on the system. Keep in mind that software bundles seldom consist of two constituents, so it’s very likely that along with this PUP, you’ve also accepted a bunch of other untrustworthy apps. Finally, we have mentioned that Treasure Track adware is commonly blamed for privacy violation. That’s because once installed on PC’s system, it activated tracking cookies and may start collecting personally non-identifiable information related to your browsing habits (search terms, websites visited, IP address, PC’s location, etc.). That’s why we do not recommend keeping Treasure Track virus installed. In order to remove it, we would recommend using Reimage. Treasure Track has the official website. Nevertheless, not active download button raises a question how this adware then manages to enter computers. According to the recent malware research, it is capable of hijacking web browsers with the help of other freewares. Therefore, whenever you decide to install a download manager, media player, PDF creator or any other popular software, it is advisable to select ‘Advanced’ or ‘Custom’ installation mode and analyze all given terms carefully. This way, you will get the ability to see what kind of ‘additional components’ are trying to slither onto your PC’s system, so make sure that you locate and deselect each of them. Treasure Track redirects can expose you to unreliable websites. Besides, you may start considering web browsing as a torture due to an excessive amount of commercial ads. If you want to prevent this from happening, then remove Treasure Track virus without a delay. Here, look for Treasure Track or any other recently installed suspicious programs. Wait until you see Applications folder and look for Treasure Track or any other suspicious programs on it. Now right click on every of such entries and select Move to Trash. When in the new window, check Delete personal settings and select Reset again to complete Treasure Track removal. Once these steps are finished, Treasure Track should be removed from your Microsoft Edge browser. Here, select Treasure Track and other questionable plugins. Click Remove to delete these entries. Now you will see Reset Firefox to its default state message with Reset Firefox button. Click this button for several times and complete Treasure Track removal. Here, select Treasure Track and other malicious plugins and select trash icon to delete these entries. Click Reset to confirm this action and complete Treasure Track removal. Here, select Extensions and look for Treasure Track or other suspicious entries. Click on the Uninstall button to get rid each of them. Now you will see a detailed dialog window filled with reset options. All of those options are usually checked, but you can specify which of them you want to reset. Click the Reset button to complete Treasure Track removal process. This entry was posted on 2015-09-07 at 06:00 and is filed under Adware, Viruses. You can quickly scan the QR code with your mobile device and have Ads by Treasure Track manual removal instructions right in your pocket. How did you remove Treasure Track ads?